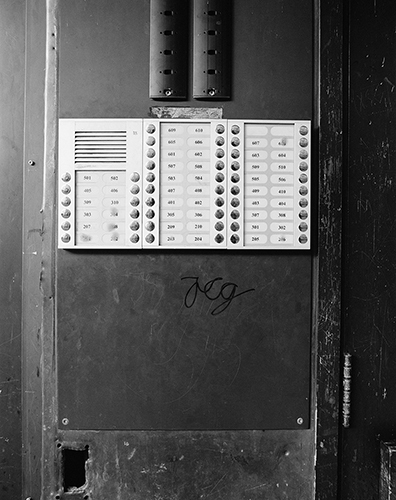 Line Bøhmer Løkken talks about her new photobook Tøyen sentrum. Stephensen: Three years after you started on the project Tøyen sentrum, you’ve now published your photos in the form of a 160-page book, including 117 images. Can you tell us about the process of creating this book, from the editing to the finalisation of the visual look? Løkken: I always conceived Tøyen sentrum as a book, so from the very beginning I started working with the images in InDesign. This gave me an overall feeling of the project and set the tone in a way. The single image is subject to the totality. I worked with the selection of images for a very long time to get the right rhythm and order in the book. This process is mostly intuitive and can perhaps be compared to composing music. A lot of the images contrast with each other, so I had to find the ones that had good chemistry together. In the end, someone other than me should judge if I’ve succeeded in this or not. When it comes to the practical aspects of making the book, I do most of the work myself. I guess I’m a bit of a control-freak. It’s important for me to be able to control all the aspects when it comes to the design. I want the design and the material choices to be part of the project, not on top of it. An example of this is the choice of printing an image on cloth-binding for the cover. It has a slightly rough feel when you hold it, and in a way it refers to the concrete that’s used in large parts of Tøyen Centre. 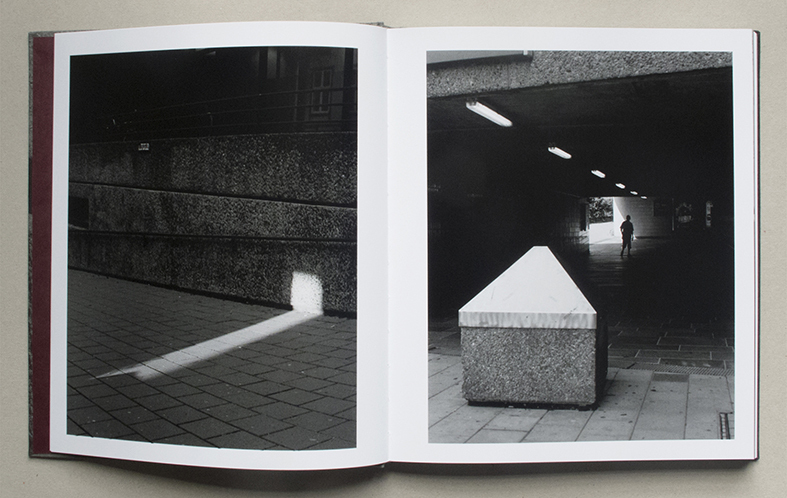 Designing a photobook is very different from designing a catalogue or a textbook. I strive for simplicity that still has a distinctive character. For the cover on this book I worked with designer Martin Lundell. He also set the text. That’s one of the things I really can’t do myself. Stephensen: The images in the book are representations of Tøyen through your own vision, but they still allow for the viewer’s reflection. We’re invited to look at details – people, objects and the architecture – and make our own assumptions. 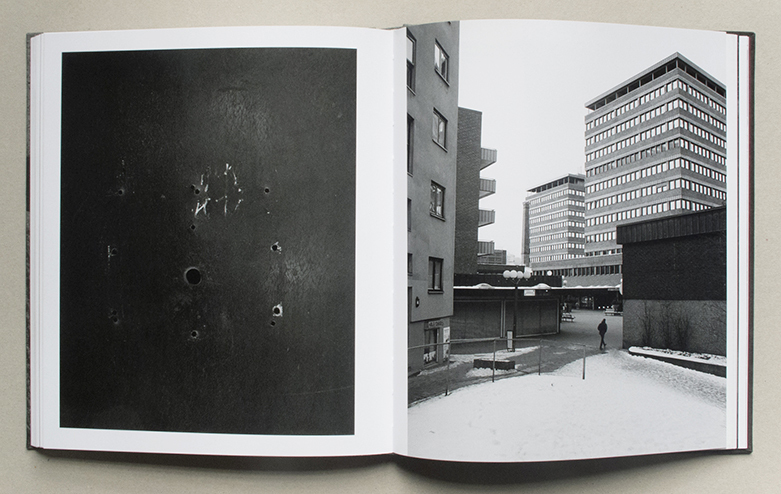 The choice of black-and-white images gives the effect of time standing still, which could be a reflection on a place that’s still striving towards the high ambitions it had in the 1970s, when Tøyen Centre was built. What was it that fascinated you about this place and made you continue photographing it? And were you interested in giving a true representation of Tøyen? Løkken: Tøyen Centre is in many ways a strange place: close and intimate, but at the same time chilly and dismissive. You can see all kinds of people passing through the centre during the day. Tøyen square is like a little oasis taking shelter from the outside world between the towers. I had the desire to get an understanding of why so many people have difficulties with this place. How do the local people use the place? And what are the concerns and interests governing the debate about Tøyen’s future? I was interested in giving a more nuanced view of Tøyen Centre that’s different from what I’ve seen in the news, without having the responsibility to create a complete and true reproduction of the place. But still I had a moral responsibility to represent it honestly. I didn’t use any technical or visual techniques in my representation; the simple forms make the photographs authentic and close to reality. I work with the small nuances in the photographic language; I like to play with how an image can be read, and then with what the viewer adds and subtracts from what they see. That’s why the images in themselves don't tell the story, but instead are open for the viewer’s interpretation. Is it possible to smell the place, feel the seasons and temperatures in this way? My eyes must be done with discovering, which is why all the repeated visits became important for the project. My gaze must be emptied in a way, to be able to see. Stephensen: Do you have a new project in mind? Løkken: I hope to produce a last book in the loose trilogy that Sandaker VGS and Tøyen sentrum are a part of. Both of these productions took three to four years to finish, so a new one will certainly take time. I haven’t quite resolved where and what the new "place" will be, but it will be located in or around Oslo. I have a smaller production – a booklet in Multipress’s new series Angle 1-90° – coming out at the end of September. I also have a medium-large book project waiting to be finished, both in terms of the final choices of content and the financing. It’s been in my drawer for a couple of years now, waiting for its time. I prefer to spend time on my projects. This stands in strong contradiction to what, for the most part, is expected from us, both in the art world and in daily life. I like to live with my images and get to know them over time. The passing of time is invisible, but I still think that one can sense it somehow.